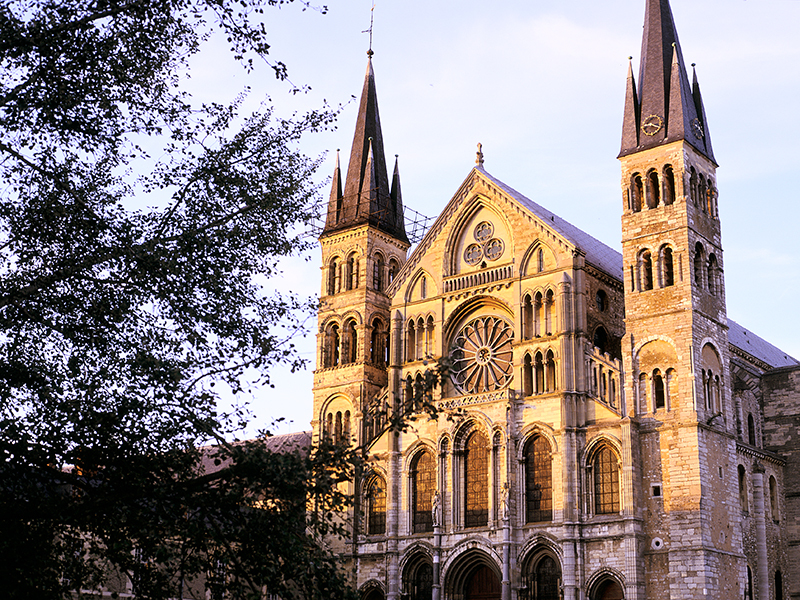 The cathedral's lace-like stone work, reddening in the setting sun, is a delight that the inhabitants of Reims like to share with their guests. The famous Smiling Angel welcomes you and bids you enter the monument majestically. 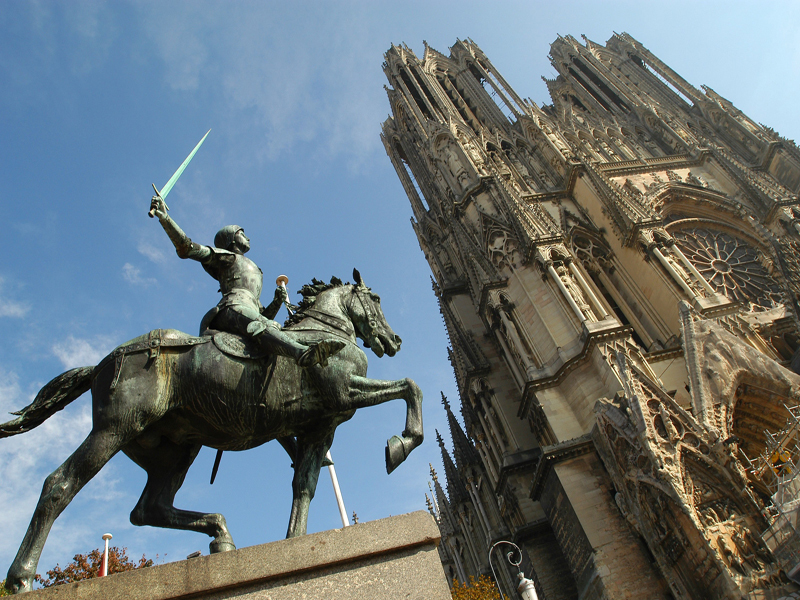 Beside the cathedral stands the Palais du Tau and its impressive banquet hall. The "chemin des sacres" (coronation path) leads to the Basilique Saint-Remi, where the romanesque austerity seems to echo music and religious chanting. Terrestrial pleasures are also on the menu at Les Crayères Estate, where the "black diamond" speciality is served in an ultra-chic setting. 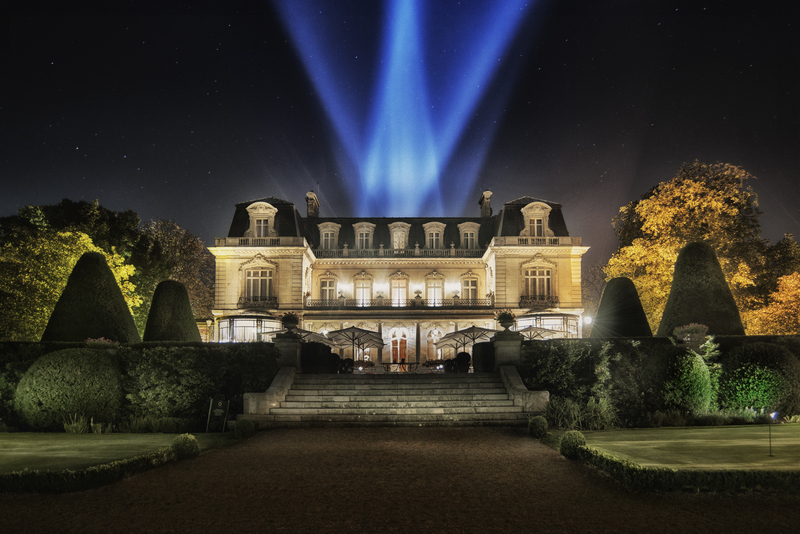 This legendary establishment, in the centre of Reims, nestled discretely in 7 hectares of gardens and greenery offers rooms that are painstakingly decorated in the pure tradition of French classical style. There are two restaurants, including a Michelin 2 star gastronomic restaurant. Visit to the Cathedral in Reims, where the kings of France were crowned. Then discover the Palais du Tau where the kings resided prior to their coronation and the Basilique Saint-Remi, which houses the relics of bishop Saint-Remi who baptised Clovis, king of the Franks. These three monuments are UNESCO World Heritage listed sites. Tourist tax (payable to the hotel).